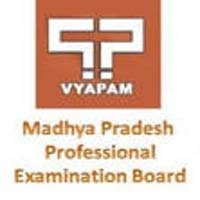 Madhya Pradesh Professional Examination Board (MPPEB), popularly known as Vyapam an abbreviation of its Hindi name Madhya Pradesh Vyavsayik Pariksha Manda, is a professional examination board of Madhya Pradesh, India. It conducts various tests for admission to professional courses and streams. The qualification of the candidate should be 10+2 (Higher Secondary) with Science background from the recognized university. If Candidate are eligible then they are apply for MP Vyapam 10+2 Level Recruitment. The Job hunter Can check Post Wise Education Qualification in Official Notification of Madhya Pradesh MPPEB Aarakshak Notification 2017. § Application fees for two papers Rs.700/- for General category and Rs.350/- for reserve category from Madhya Pradesh state. § For one paper Rs.500/- for General category and Rs.250/- for reserve category applicants. § Application fees should be pay in form online payment or credit/ debit card payment. § Upper Limit = 28 years. § Upper age relaxation will be provided to all the reserved category candidates including ex-serviceman as per the norms of Madhya Pradesh Police Constable HC Computer ASI Recruitment. Age will be calculated as per their reference date. On the home page search for Recruitment tab. After that click on the MP Police Recruitment 2017 Notification link/ Download directly from this article. Read the official notification carefully/ Go through the details given on this page. If you are eligible for the mentioned posts then click on Apply Online link. Fill the Madhya Pradesh Professional Examination Board Recruitment 2017 application form with all the required and exact details.